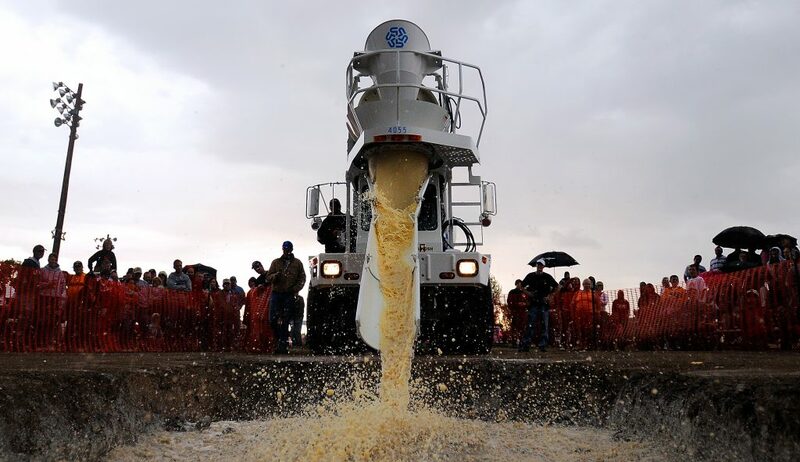 Instant mashed potatoes are loaded into a cement truck for mixing in preparation for the "Spud Tug", an annual tug-of-war competition in a pit of mashed potatoes, for Spud Days in Shelley, Idaho. 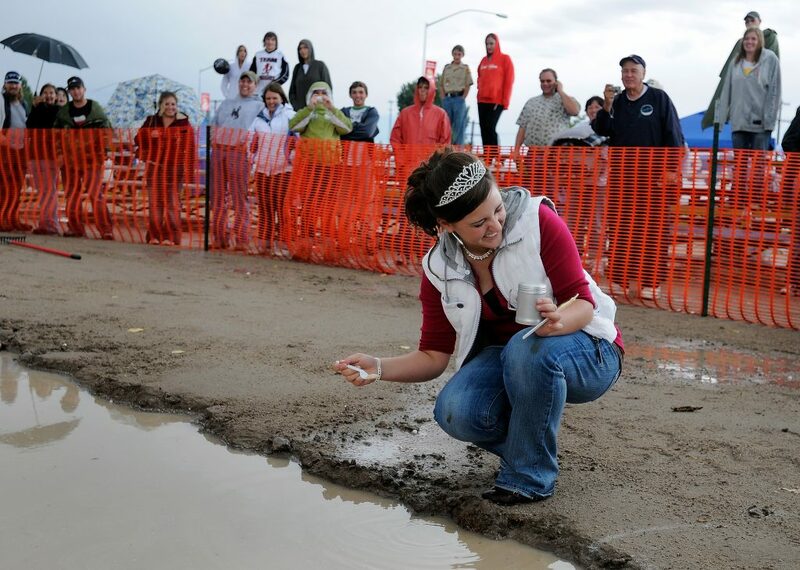 Miss Russet, Lindsey Nelson, 17, takes a taste of a mashed potatoes mixed with mud at the annual Spud Days celebration in Shelley, Idaho, shortly before the "Spud Tug", the town's annual tug-o-war competition, begins. 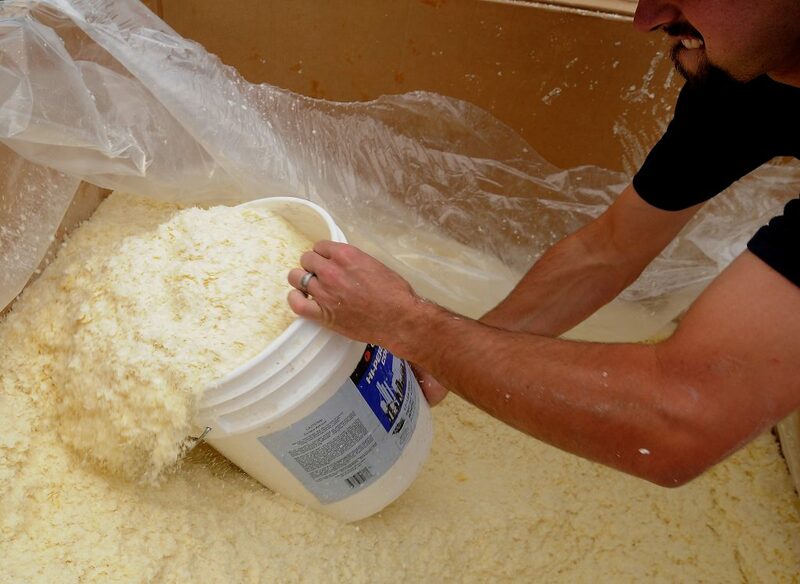 Over 1800 gallons of water are mixed with bags of instant mashed potatoes, for the competition. 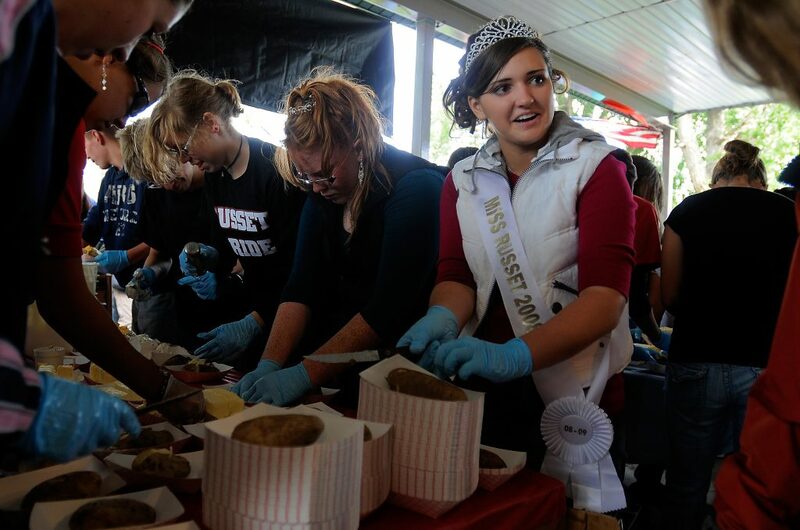 Traditionally, each year the town's newly elected Miss Russet tastes the mix to make sure it's ready for competition. 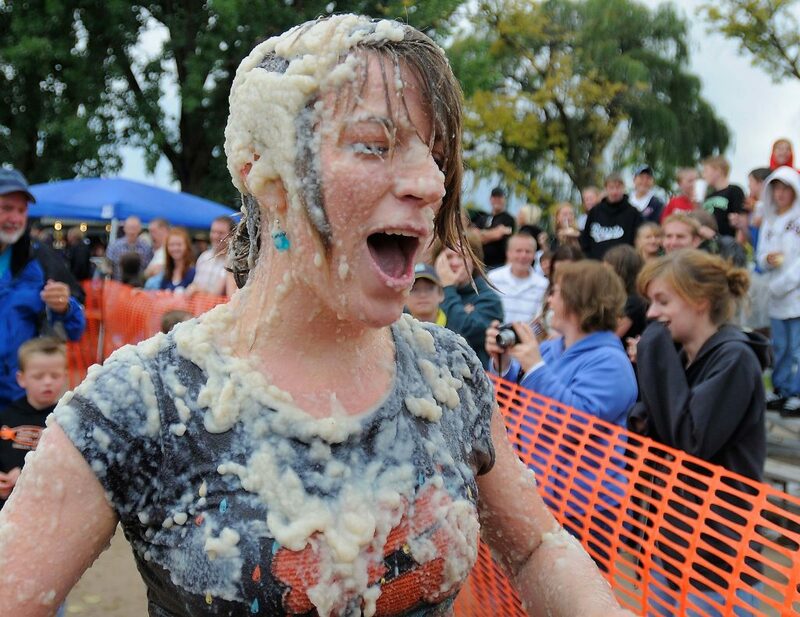 If you are participating in the Spud Tug or watching it near the front, you may want to have a change of clothes since mashed potatoes will be flying all over the place. That some folks in Idaho are passionate about potatoes, you expect. That this most famous of Idaho products is celebrated in small-town Shelley, population 3,813, where the local high school mascot is a potato wearing a crown, a robe and a scepter, you expect. That, in Idaho, the weather changes every five minutes, you expect. That most of the crowd jovially retires to tents selling the likes of scrapbooking supplies and cinnamon almonds when a sudden downpour of rain and hail, accompanied by apocalyptic claps of thunder and jolts of lightning, scatters the thousands awaiting the crowning event of said celebration to wait out the storm, you expect. But when Miss Russet, crowned only days earlier, drops a pat of butter and shakes a bit of salt into the liquid mess that is hundreds of gallons of water (liberally mixed with rain) and over a thousand pounds of instant mashed potatoes churned by a cement truck and dumped into a pit dug into the infield of a baseball diamond, you do not expect that she’ll dip a spoon into the goo and take a sip. But that’s exactly what she does. And the crowd, soaked by rain, sitting on dented aluminum bleachers and separated from the arena for the coming sport by only a string of bright orange snow fencing, roars its approval. They’ve eaten their potatoes. They’re wearing their potato buttons. They cheered as children as young as three and four competed to see who could pick a bushel of potatoes the fastest. From their shelters, they cheered the hardy, foolhardy young men who kept going at the potato-picking competition during the 20-minute downpour. They’re ready. 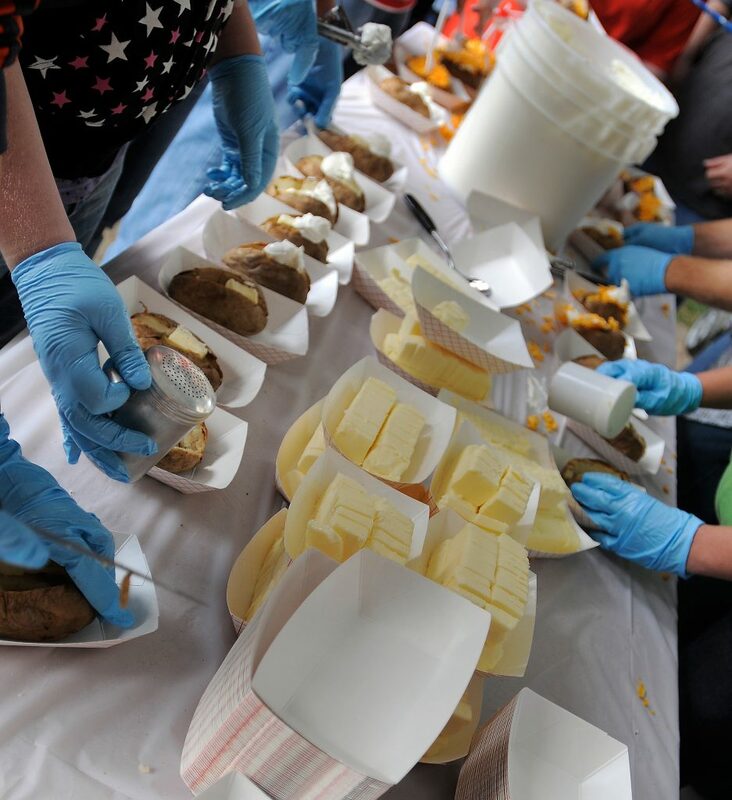 This is Idaho Annual Spud Day, celebrated in Shelley since 1927. So is Bingham County, home not only to Idaho Spud Day in Shelley, but also to the Idaho Potato Museum in Blackfoot, the county seat. What Idaho is for the potato, Bingham County is for Idaho. The county covers 2,120 square miles of Idaho’s 83,570 square miles. Of Idaho’s annual potato crop – in 2006 it was 12.3 billion pounds – Bingham County grew 30 percent or 3.7 billion pounds, roughly twice the poundage of potatoes produced by the entire state of Maine. Potato farming and potato processing – from instant flakes to French fries to hash browns, and soon, to ethanol, brewed in part from potato waste – is the county’s livelihood. So potatoes are familiars to the people who celebrate Spud Day. No witch without a black cat; no Bingham Countyite without his or her potato. At the potato-picking contest, it’s the childrens’ hour. Young boys manly try to scoop enormous handfuls of potatoes form the ground to drop into their baskets, not caring that as many tubers fall from their arms as fall home. Other young men, and most young ladies, frantically pick potato after potato from the ground – the outfield of a baseball diamond – and pepper them into baskets. Those who rabbit the potatoes in rapid-fire typically win. Only in Idaho. Also only in Idaho: The guns are tiny cousins of the potato bazookas, built of PVC pipe and fired with hairspray and lighter flints, brought out in the fields far away from mothers and the population in general, capable of shooting a whole potato hundreds of feet. Bobbi Southerin, who has lived in Shelley for about two years, moving to town from Sugar City, Idaho, a town once known for its sugar beet crop. 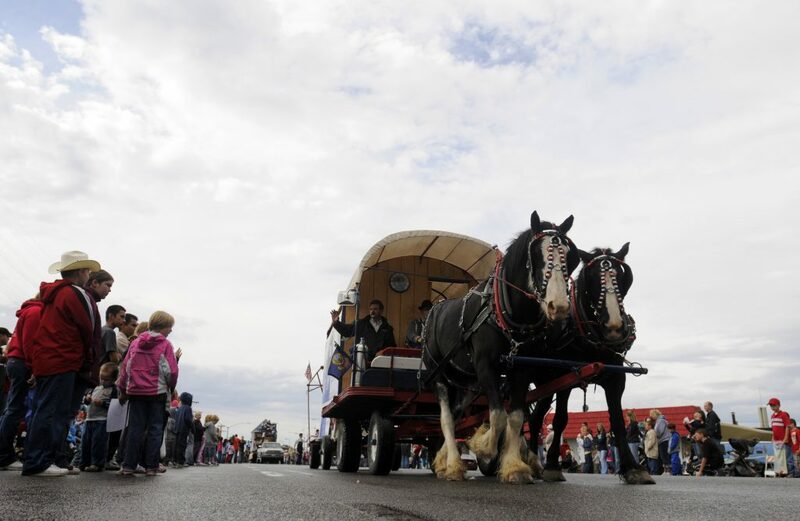 For her, Spud Day is “like the East Idaho State Fair (in Blackfoot) but you don’t have to pay to get in.” Indeed, many of the vendors – from Wimpy’s burgers to the Pronto Pup trailer to the shack that sells enormous deep-fried turkey legs – are fair staples. 006 For Paty Gil, Spud Day shows Shelley at its best. A native of Brownsville, Texas, Gil moved to Shelley in 1978, following her father who came to set up a Baptist ministry in the area. Gil is still active in the Baptist church in nearby Idaho Falls. “The community has grown a lot” over the 20 years she’s lived here, she says. She’s seen her fellow Hispanic population soar. “It’s good for the community, as we grow, that we grow together,” she says. 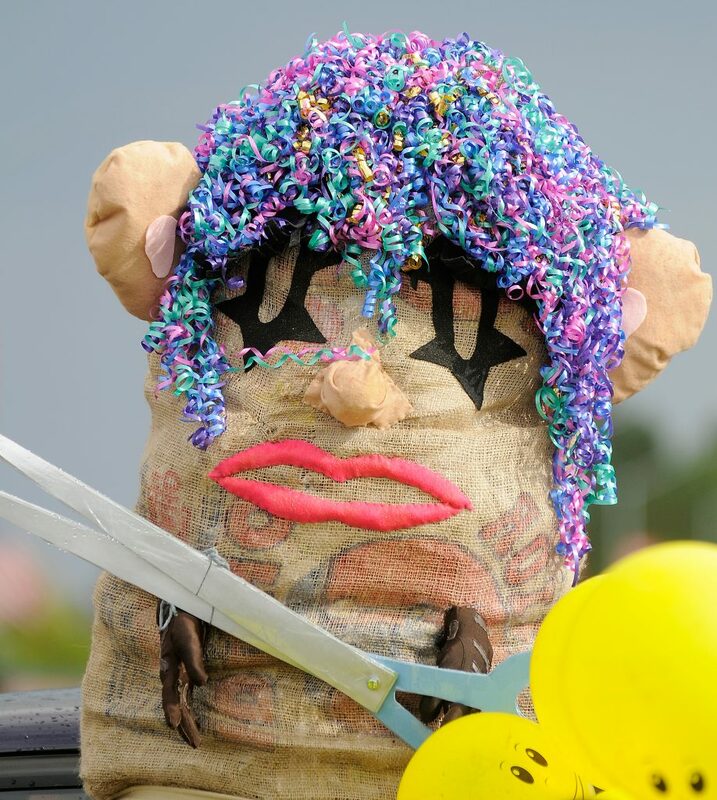 Spud Day, she says, shows the city’s multicultural face. As one walks through the city park where the event is held, half the conversations are in English, the other half in Spanish. Billy Park of Ammon, a city of 12,000 to the north of Shelley, plays an unusual role in the Spud Tug. 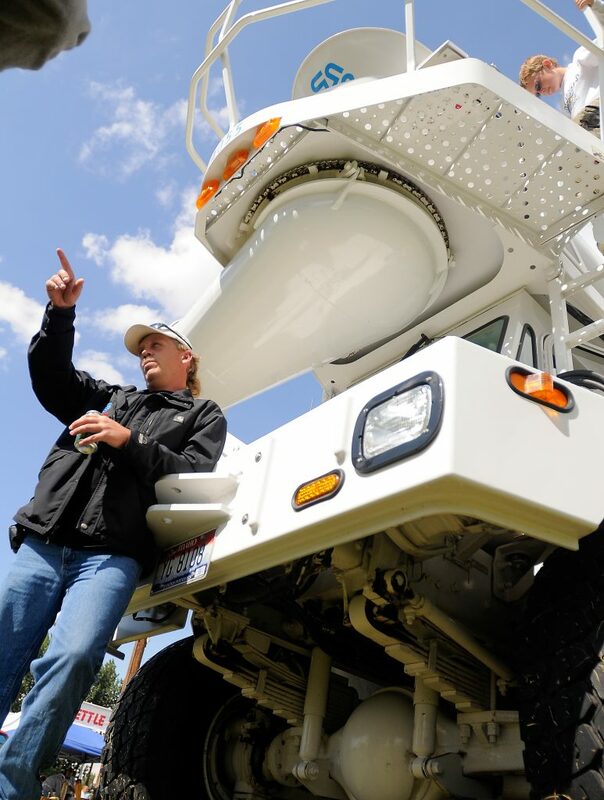 He’s here with a 20-ton cement truck from Burns Concrete of Idaho Falls, set to mix 1,800 gallons of water with more than a thousand pounds of instant mashed potato flakes donated by Basic American Foods – Shelley’s largest single employer – to make the potatoes for the tug-of-war pit. “The hardest part of this is cleaning the potatoes out,” he says, laughing. “The concrete comes out a little better. The potatoes get stuck in the truck real bad.” He’s helped out at Spud Day for the past four years. With a bucket brigade, a crew of five scoop out the flakes, trucked to the park in two man-tall boxes, into the cement truck. The scooping takes about fifteen minutes, the mixing, about five. “I’d like to see some concrete finishers try to work with this stuff,” he says. “I don’t think they’d like it.” The crowd does. The margarine-yellow liquid gushes down the chute, splattering on the compacted dirt at the bottom of the pit. The crowd – blond-haired children, salt-and-peppered old men, high school students, farmers, teachers, mothers and fathers – screams. To the east, lightning bolts from the clouds. The rain starts. The margarine-yellow liquid still gushes, splashing now in the pit, with lumps of mashed potatoes plopping into the guck. The rain comes. Harder. Harder, pelting the liquid in the pit, making it appear to boil as if it were an emanation from the nether regions below this arena. The rain comes harder. Hailstones fall. The crowd flees. Inside tents brought to the park for the selling of scrapbook supplies and cinnamon almonds, the crowd waits. The rain passes. Miss Russet does her seasoning and tasting, and the first teams come out – celebrities, from local television stations. 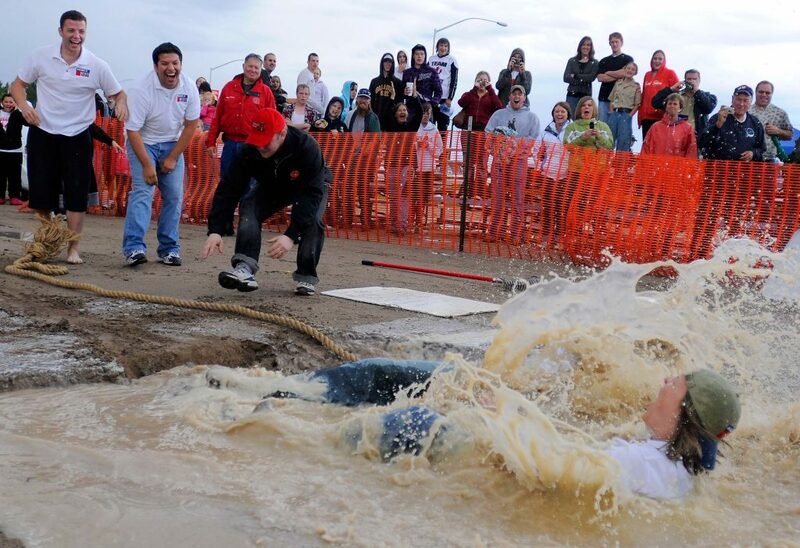 Not quite chivalrous, the teams place ladies first; first to go into the pit. The teams grab the rope – two-inch-thick hemp, bumpy, good for gripping, with a knot tied at each horsetail end. The announcer hollers “Tension on the rope,” straining his voice to be heard without speakers, put away during the deluge. “GO!” The teams pull. Channel Eight pulls Channel Three into the muck with a splash. 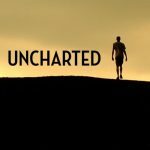 One teammate submerges completely, arises spitting out potatoes, her clothing soaked and covered with a wake of soggy flakes. She grabs the rope and pulls her teammates in, leaving only the smug cameraman on the shore of this sea of goo, film at six. Next up: two teams of children. Not worried about the cool weather. Not worried about what they’re about to fall into, get into their hair, perhaps swallow. This is Spud Day. It’s expected. What is a Russet? Miss Russet, OK. King Russet, mascot of Shelley High School, fine. But what’s a russet? A russet is part of the proper name for the potato most commonly grown in Idaho, the Russet Burbank. This potato variety owes its genesis to Luther Burbank, a 19th century botanist and horticulturist who developed more than 800 strains and varieties of plants, including a spineless cactus used for cattle feed and the plumcot, a cross between the plum and the apricot. He developed the Burbank potato, winnowing it from several types he experimented with on his farm in Massachusetts. The Burbank potato produced incredible yields, when compared to the other varieties he tinkered with. The Russet Burbank is a natural offshoot of the Burbank, and owes its added name to the reddish-brownish (mostly brownish) and net-patterned skin it has. If you’ve eaten McDonalds French fries, you’ve eaten a Russet Burbank potato. These potatoes are not used for potato chips. Chip manufacturers prefer the Maris Piper potato which, unlike the Russet Burbank or Burbank varieties, does not turn brown (due to caramelization of its higher sugar content) than the Maris Piper potatoes do when they’re fried as chips.